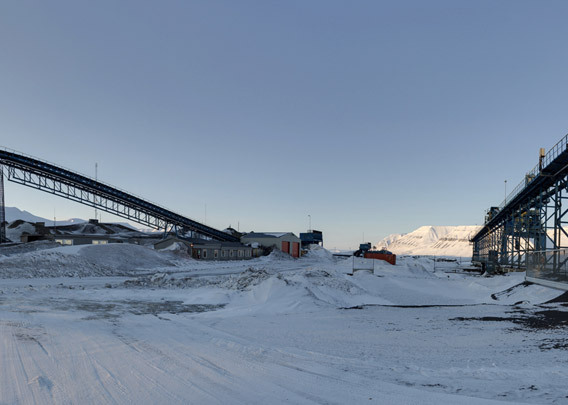 Together with Longyearbyen, Sveagruva was the main place for Norwegian coal mining in Spitsbergen during large parts of the 20th century and, with interruptions, until 2015. The coal occurrence was initially occupied in 1910 by the Swede Bertil Högbom for Jernkontoret og Trafikaktiebolaget Grängesberg-Oxelösund (Högbom was also the one who started Pyramiden in a similar way). The new occupation in Van Mijenfjord was called – surprise – “Sveagrufvan”, the “Swedish mine”. With a slightly different spelling, the name has survived until today, but the place is usually just referred to as “Svea” in common language. In 1911, the ubiquitous British Northern Exploration Company (Ernest Mansfield, Ny London on Blomstrandhalvøya in Kongsfjord) tried to get a foot in the door by building two cabins, but that did not have any further consequences. In 1917 the Swedish AB Spetsbergen Svenska Kolfält went ahead with first mining actitivies. But the property was sold as early as 1921 to the Svenska Stenkolsaktiebolaget Spetsbergen who enlarged and improved the mining facilities, but they also had to give up for economical reasons in 1925. Further activities were reduced to a small crew to guard the property until Nya Svenska Stenkolsaktiebolaget Spetsbergen made a new attempt with coal mining. 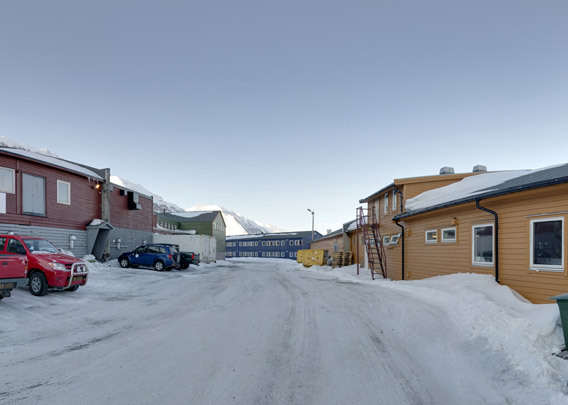 The Norwegian history of Sveagruva started in 1934 when Store Norske Spitsbergen Kulkompani (SNSK) bought the place and the mine. At this time, the Norwegian government played an important and active role in mining in Spitsbergen, and a political wish to gain factual control over larger areas certainly played a role. Actually securing a reliable energy supply to north Norway was another important factor for aquiring Svea, a history similar to the development in Ny-Ålesund. The Second World War brought destruction also to Sveagruva when a German submarine attacked the settlement with gunfire (not during the large attack in 1943 during which Barentsburg and Longyearbyen were largely destroyed). The mine was soon opened again after the war but all activities ceased from 1949 to 1970 due to the poor economy. 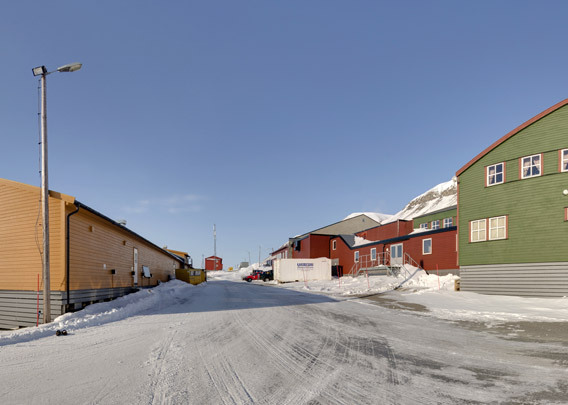 SNSK decided to focus on one of their places, and Longyearbyen, being Spitsbergen’s main settlement, was the obvious choice, as this was not only where the administration was located but shipping conditions were also much easier. Van Mijenfjord is protected from the open sea by the island of Akseløya, hence the fjord ice was lying there much longer in spring, making the shipping season shorter. Mining in Sveagruva was restarted in 1970 but did not continue without difficulties in the years to come. The place saw its best years after Svea Nord was opened in 2001. Here, coal seems with a thickness of up to 6 metres were mined, enabling a very profitable mining operation. A road over a glacier had to be build to operate Svea Nord, but this effort was more than balanced by the largest coal occurrence that was ever mined in Spitsbergen. 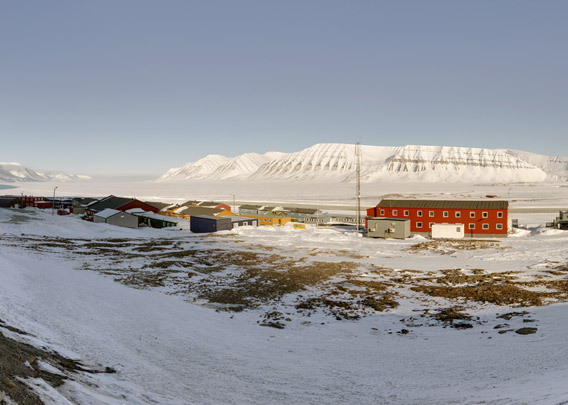 There was family life in Sveagruva during shorter periods in historical times, but Svea never fully developed to become a “normal” settlement with a more or less stable population of its own, with families and everything that comes with family live, such as Longyearbyen. 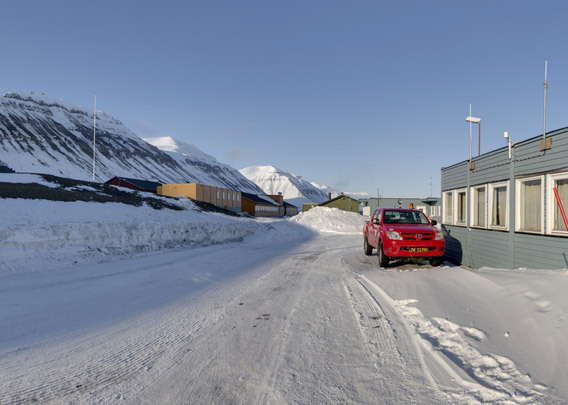 In more recent times, workers lived during their shifts in Sveagruva, often for periods of 2 weeks, but they actually had their homes in Longyearbyen or even in mainland Norway. Hence, the infrastructure of the settlement never went beyond the needs of a company town, there was no public shop, no school, church or other public infrastructure. 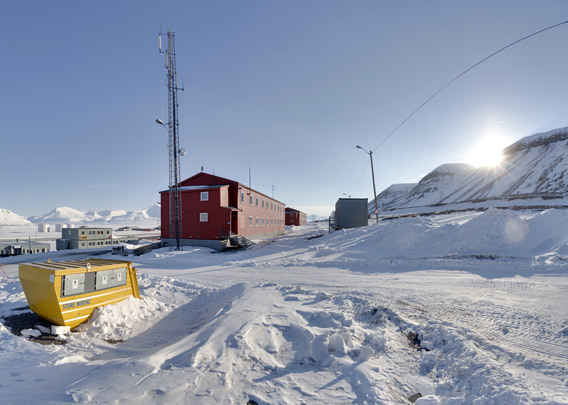 The flight connection to Longyearbyen enabled the miners to commute; during the winter, experienced snow mobile drivers can cover the distance on the ground in less than one hour (something the less experienced visitor, without good local knowledge, will never be able to accomplish). 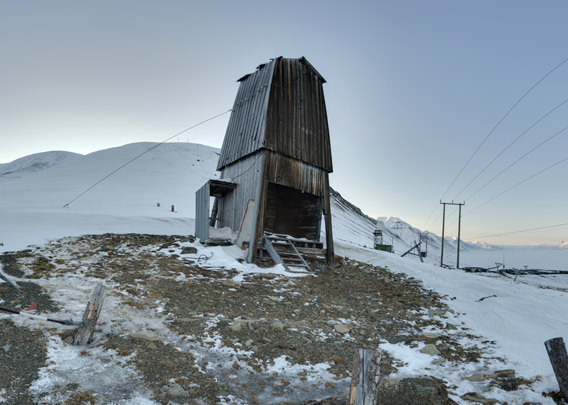 A new mine was opened in February 2013 at Lunckefjellet, north of Svea Nord. 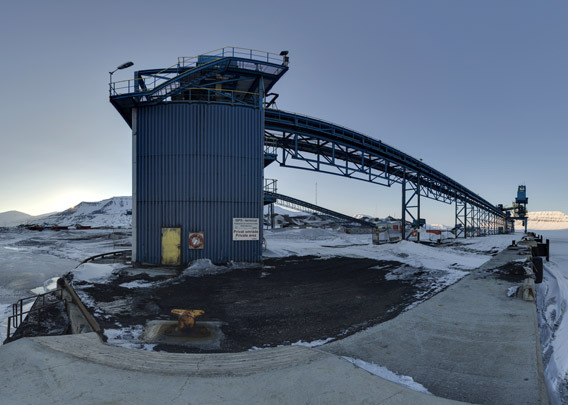 The first ton of coal was produced in November the same year, but that was just symbolic, as the Lunckefjellet mine was to never enter real production: economical difficulties forced SNSK in 2015 to run Lunckefjellet purely in a standby mode. In 2017, the Norwegian government, owner of the SNSK, decided not to finance further mining activities and then the political decision was made in Oslo to abandon coal mining in Svea altogether. Soon thereafter, coal prices started to increase again on the world market, and already in 2018 SNSK could celebrate a solid profit in mine 7 (Longyearbyen), even hiring miners again after several difficult years also there. It is safe to assume that quite a few Svea miners will have bitten their own asses while observing this development, but the government in Oslo does (so far?) not accept any discussions about renewed mining activities in Svea. In contrast, the nearby Nordenskiöld Land National Park is planned to be enlarge to make sure nobody will ever start mining again in Sveagruva. The settlement itself and the mines will probably be cleared up mostly (time of writing: early 2019). The lagoon Braganzavågen near Sveagruva is too shallow to allow shipping. A coal pier was built at Kapp Amsterdam, 5 kilometres south of Sveagruva, where depths allow large cargo ships to go alongside.